Oh I looove that little stamp! It looks amazing with those neons. Very cool card! Super fabulous card!! 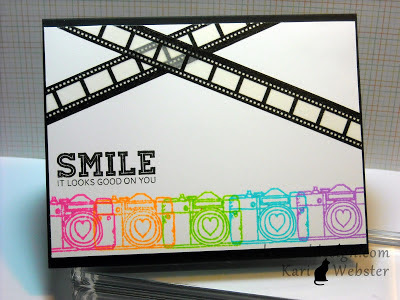 Love how you stamped the camera in all of the different colors! Very cool! 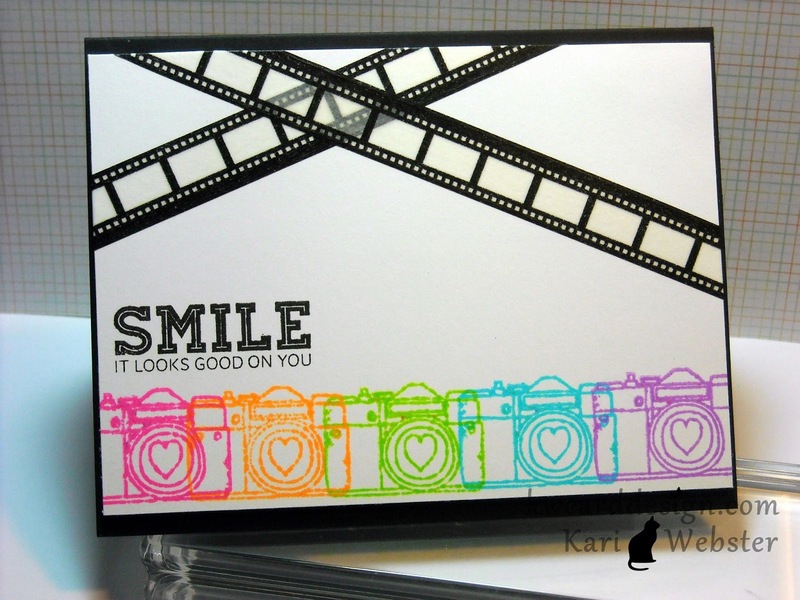 Kari, this card is so awesome! Love the bright neon cameras all in a row and the overlapping colors. Too cool!